Ginataang Langka (Unripe Jackfruit in coconut milk) is one of the menus often served in a Filipino household. 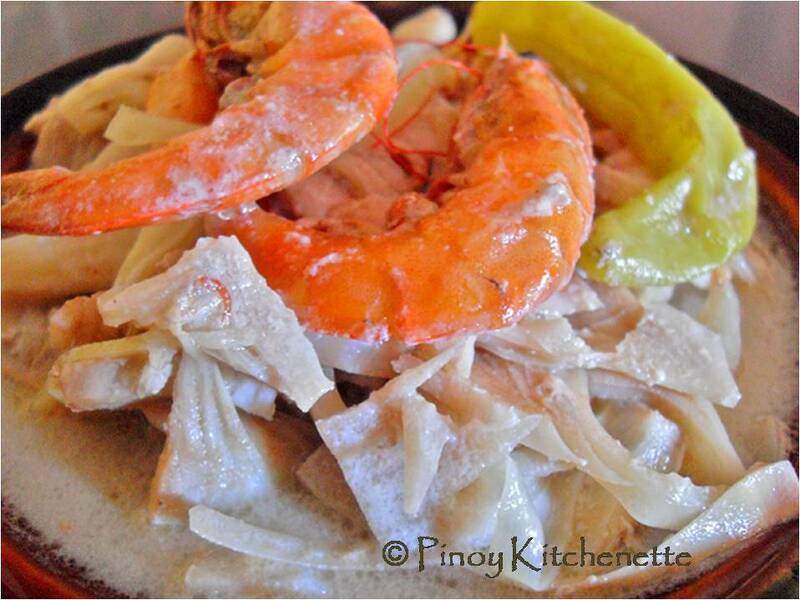 Aside from the unripe jackfruit and coconut milk, you could add pork, shrimp paste, fish or shrimps. Since today is Friday of Christian Lent season, we are skipping the meat. It is a Catholic observance to abstain from meat during Ash Wednesday, Good Friday and all Fridays of Lent. 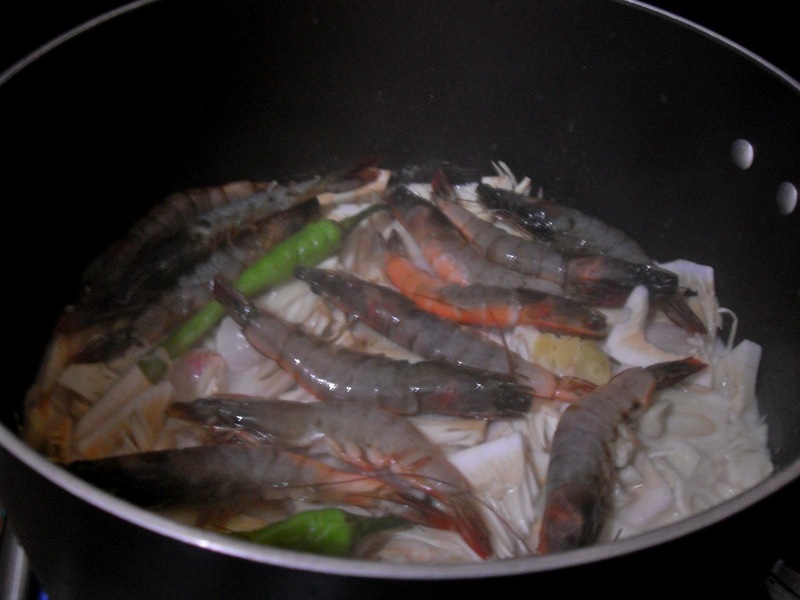 In a pot, put all the ingredients, except shrimps and fish sauce (we will season it later). 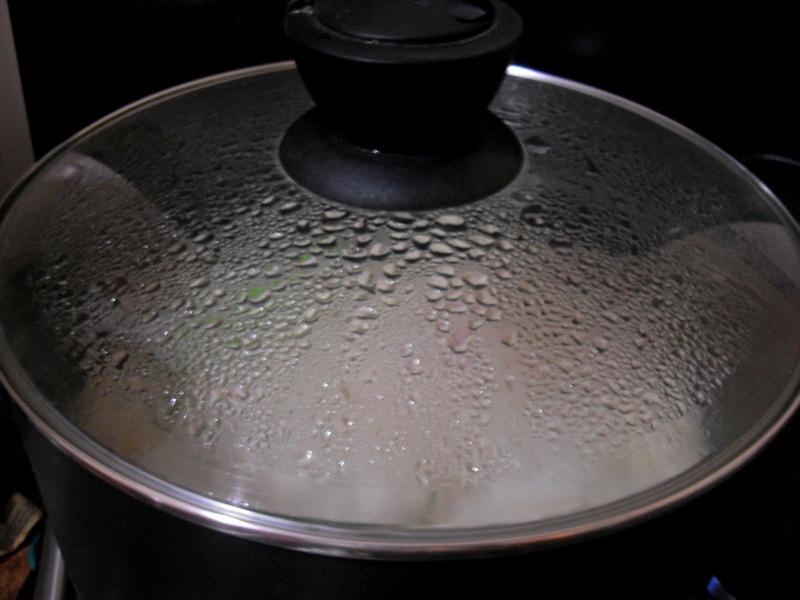 Cook over medium low heat. Cover and cook for about 10-15 minutes or until the unripe jackfruit is cooked and soft. Add the shrimps and chilis. Cover and cook for another 5 minutes. Season with fish sauce. yummmm!!! if i'd have my way, we'd have this every other day! lol. 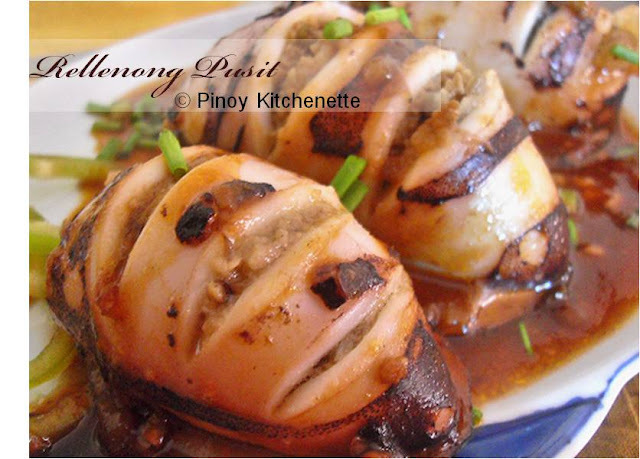 sarap nyan mam, miss ko na gata, ill try these ha.. thanks for sharing.. miss ko na magblog!!! ay dapat mag tanim ka na pala ng langka manang, add it sa mga tanim mo.. but im not sure if tutubo kaya yan dyan sa inyo? Nice recipe with jackfruit..and so healthy too. Oh I love this! Comfort food! Luto ito sa amin nung bata pa ako. We call it ginataang nangka. Now I am missing it so much! Masarap ito! My Kumpare who used to work as cook at cruise ships opened his own eatery in Quiapo and this is sometimes what he offers. I like this dish very much! I haven't eaten ginataang langka in a long time. That's because I don't see unripe jackfruit in the supermarket where I do my weekly grocery shopping. 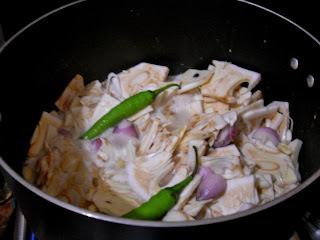 I so miss this vegetable dish. Oh, I love this dish especially if it has a lot of heat coming from chilli peppers. Love the vibrant color of your shrimp. yummmmmmmmmmmmmmmmmmmm ginataang langka looks delish Sis, makes me drool too :-( miss eating this. Thank you for the recipe too :-) Visiting late from Food Trip Friday, hope that you can return the visit too. Your ginataang Langka looks so delicious!